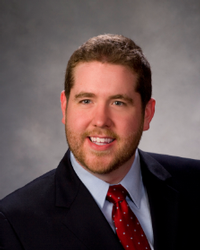 Dr. Brian Matthews is a 2006 graduate of the University of Pennsylvania, with a degree in Biology/Neuroscience. After of year of Neurologic research at Penn, Dr. Matthews entered Temple University's Kornberg School of Dentistry, where he achieved membership to various academic honor societies. He graduated in 2011, and began a General Practice Residency at Christiana Care Health System, in Wilmington, Delaware. Dr. Matthews enters the family practice with great enthusiasm, skill and compassion. Dr. Matthews is the third son and fourth child of Dr. Bruce and his wife, and brother of Dr. Dan Matthews.